Exploring the nexus of contagion’s metaphorical and material aspects, this volume contends that contagiousness in its digital, metaphorical, and biological forms is a pervasively endemic condition in our contemporary moment. 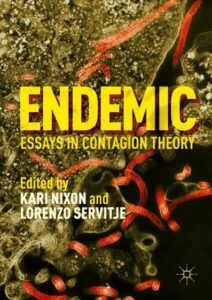 The chapters explore both endemicity itself and how epidemic discourse has become endemic to processes of social construction. Designed to simultaneously prime those new to the discourse of humanistic perspectives of contagion, complicate issues of interest to seasoned scholars of science and technology studies, and add new topics for debate and inquiry in the field of bioethics, we trust this work will be of interest to a wide range of scholars.